Opal is 86 years old and was a nurses aid at Swedish American Hospital in Rockford, Ill. for most of her adult life. In her mid 80s, Opal’s husband and children noticed that she was becoming increasingly forgetful and often agitated with her family and those around her. Opal was often paranoid and disoriented, and her personal safety became a major concern. Her symptoms became more pronounced and required constant care and attention. When she was diagnosed with early stage Alzheimer’s, her 85-year-old husband Russell and her children, Linda and Ross, knew that a skilled nursing home would be the safest environment for her. “Opal is my beautiful bride and I will be with her no matter where she is,” states Russell. Both Opal and Russell received a thorough health assessment and personal care plan when they moved into Generations at Neighbors. Opal’s health care plan is continually monitored and updated and she is now on a new combination of Alzheimer medication which has helped stabilize her anxiety and mood swings, while optimizing her daily functioning and cognitive abilities. Opal is doing so well that she has even been able to eliminate taking several drugs including Ativan. Opal and Russell share a room at Generations at Neighbors. She is happy, always laughing and constantly saying how much she loves her husband Russell. “He is the light of my life and I could never live without him,” Opal says with a twinkle in her eyes. 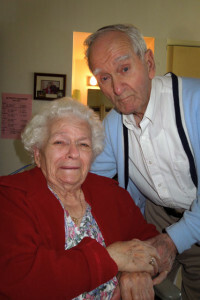 Both Russell and Opal love living at Generations at Neighbors. “We love the food, the people, our friends and the staff takes such great care of us,” they state with true conviction. 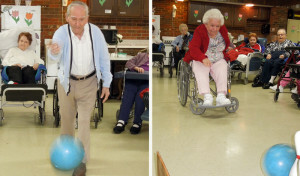 We love to bowl with our friends, participate in all the great activities that Neighbors offers and simply enjoy our life together with the wonderful staff and residents at Generations at Neighbors. The staff at Generations at Neighbors are so caring, professional, patient and kind to my parents. 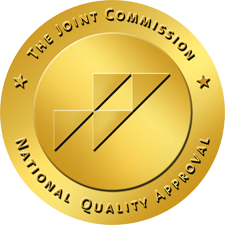 The facility is very clean, friendly and provides excellent nursing care for both my mother and father. We are so happy that the nursing staff and doctors have worked so hard with my mother to get her on the right combination of medications which has helped her greatly with her anxiety, mood improvement, and cognition.